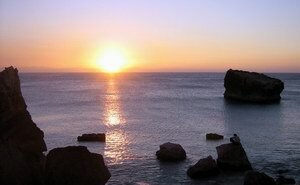 This tour program is developed to show you the island’s most famous places at best time of day. All overnight stops are specially planned to show you these places at their best light conditions. We offer our clients to a have a wonderful overnight stop at Shuab Bay, where most tourists are usually brought in the height of noonday heat. They usually get burned by the sun and may catch a cold from spindrifts when coming back to Qalansiyah head to the sea after dinner. 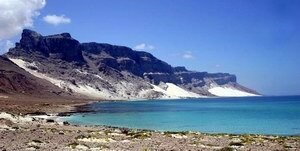 On Socotra tourist groups are guided by local English-speaking guides and accompanied by a local cook who makes meals at wild camp sites. We recommend you to take your own sleeping bag and a head light with spare batteries, as well as a few spare batteries for your cameras and memory cards. t will take for about 2 hours of slow walk (do not forget to take with you water and a flimsy scarf). It is good to climb the mountain to the east of the lagoon where you will be able to enjoy great lagoon views. Having supper and spending the night at the camping site. 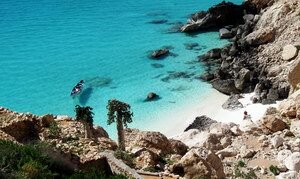 After dinner in the camping - travelling by fish-boats to Shuab Bay, one of the best beaches on Socotra. Great fishing, swimming, sunbathing and watching dolphins. Fish dinner and spending the night in tents by the sea. Early morning - coming back by boats to Qalansiyah. On the way – swimming in a small bay that is good for snorkeling. You can also go up to make a beautiful picture. Going down to the canyon, swimming in a fresh water pool, walking through the canyon. Spending the night in tents in the canyon. 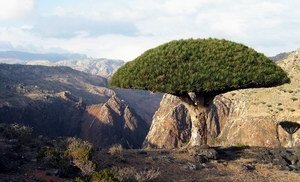 In the morning – walking through the old-growth forest of Dragon Trees growing the opposite side of the canyon. 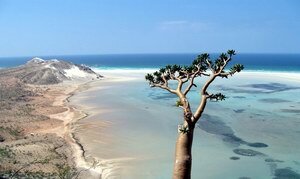 After dinner and swimming in a fresh water natural basin you will be transferred to the south coast of Socotra. 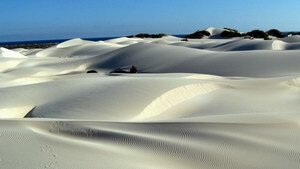 Seeing snow-white Stero dunes especially beautiful before the sun goes down. Spending the night at Aomak camping site (at group’s option an overnight stop can be also arranged near beatiful dunes by the ocean). Transfer to the north coast of the island by the beautiful red mountain road. 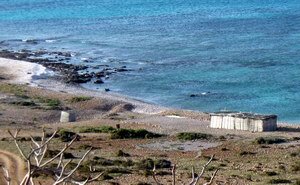 Beach break at Ras Erissel. 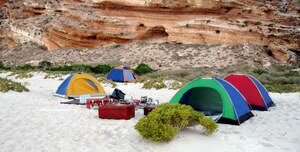 Spending the night in tents between dunes at a fresh water stream in Archer. Having supper with fresh fish. 3-hour walk through Hoq cave. Having dinner and supper at Rush camping located near beautiful reefs, a good place for snorkeling. Transfer to Ayaft Gorge, one of the most beautiful Socotra’s places, where we will enjoy the mountains lighted by the last rays of the sun. Spending the night in tents under a roof of age-old trees. 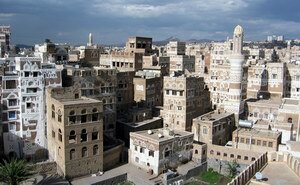 Flight to Sanaa by Arabia Felix airline, visiting the Imam’s palace (outside Sanaa), having dinner at Shibani restaurant in Sanaa, walking around the Old City, shopping and enjoying free time*.